Jim Kozel – Luthier, Musician – Page 3 – Guitar Repair "We Fret the Details"
Sacred Chickens by Tim Wallace! When I am not wearing my luthier hat doing guitar repair and restoration in the Cleveland, Ohio area, I’m on stage performing. Here Ray Flanagan and I perform “Sacred Chickens” by Tim Wallace at the annual Somebody Else’s Song 10 x 3 at Brother’s Lounge in Cleveland, Ohio. Sending the Cleveland Indians some World Series Ukulele Mojo! Author Jim KozelPosted on October 25, 2016 October 25, 2016 Format VideoCategories Jim's MusicLeave a comment on Let’s Go Tribe! on this 1949 Gibson J-50, the owner asked me if I also do guitar setups. Well, I sure do. 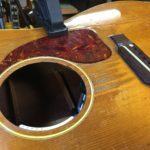 As a player myself, I think our guitars should fit us like a well-worn pair of jeans. When someone brings their guitar in for a setup, I first have them play it for me so that I understand their playing style. The guitar is then setup accordingly. Each setup is unique to the guitar and its owner. Thought I’d mention this since most recent posts have been about fairly involved repairs. Author Jim KozelPosted on October 20, 2016 Categories Setup, Repair & RestorationLeave a comment on We do setups, too! Cleveland, Akron, northeast Ohio is rich in musical talent. It’s a great place to be a luthier. Here’s a video of the repair I did on local singer/songwriter, Gretchen Pleuss’ Taylor 414CE. 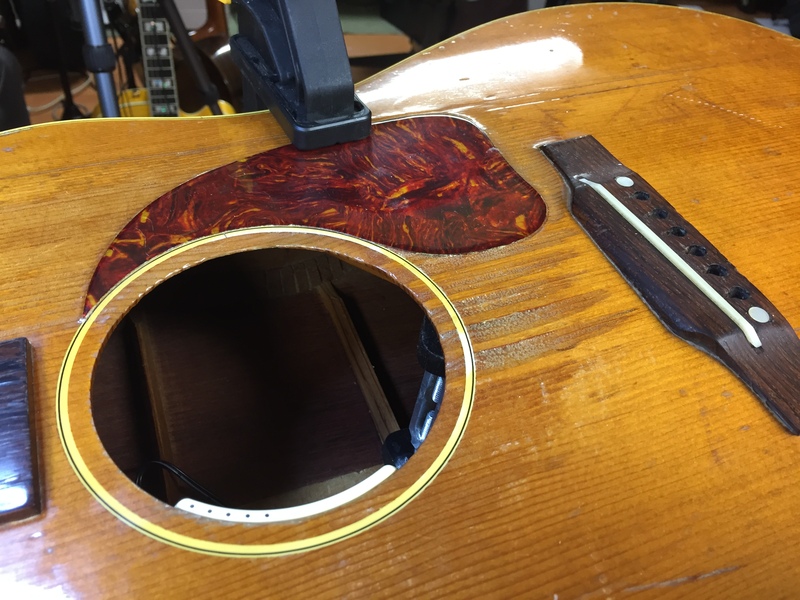 1962 Gretsch Double Anniversary – nut restoration. This 1962 Gretsch Double Anniversary came into my shop with the nut so badly damaged the guitar was unplayable. Rather than replace the nut, the original was restored. Here’s the story about how that was done. Author Jim KozelPosted on October 14, 2016 Format VideoCategories Setup, Repair & RestorationLeave a comment on 1962 Gretsch Double Anniversary – nut restoration. Author Jim KozelPosted on October 5, 2016 Format VideoCategories About Jim, Jim's MusicLeave a comment on Jim Kozel Plays Ukulele!